Our boats are rigged in such as way as to make them as simple and easy to sail as possible. 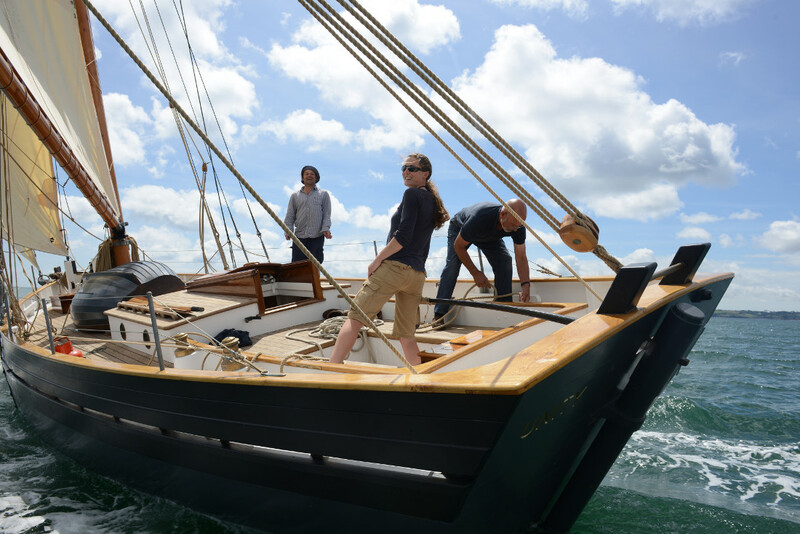 We have traditional Appledore roller reefing gear on the boom, which takes the stress out of reefing. 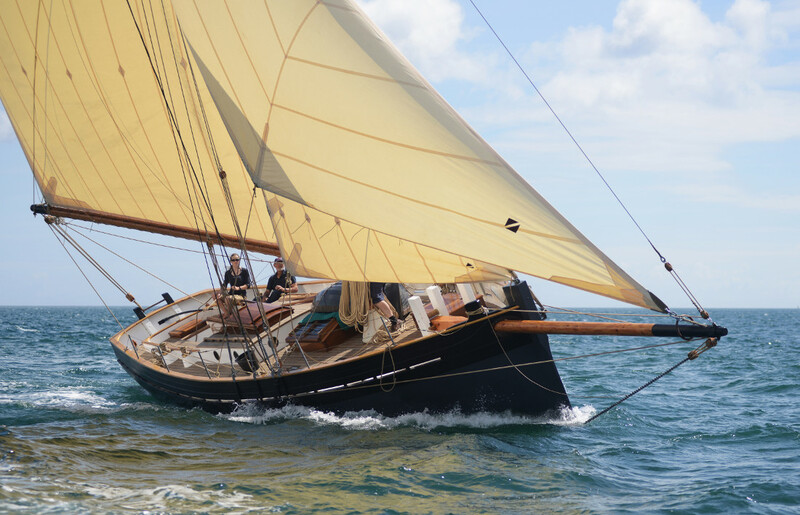 Lewmar self-tailing winches make sheeting the headsails a pleasure and the jib can be fitted with roller furling gear. 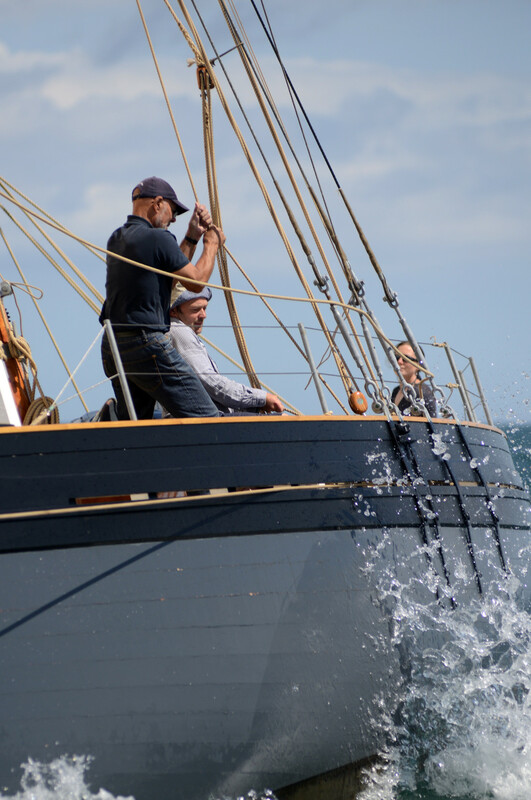 Our standing rigging follows the example of the Bristol Channel Pilot Cutter and by keeping the aftermost shroud far enough back, we do away with the complication of running backstays. By leading the bobstay fall back to one shoulder and the jib outhaul back on the side we do away with bowsprit shrouds. Any additional rope or wire really has to earn its keep and we avoid the messy tangle which can blight some gaffers.